We are proud to have the ability to utilize digital x-rays here at DeMercy Dental. 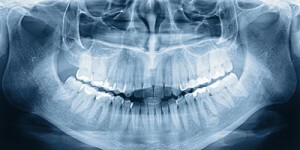 Digital x-rays are the newest dental x-ray technique that many dentists are now using. This machine is very beneficial for Dr. DeMercy and Dr. Kossick and also their patients. This x-ray machine uses less radiation than traditional x-rays do and there is no wait time to develop the pictures. It is a safe and effective technique that does not require a dark room to develop the images. Instead of waiting, the x-ray is sent directly to the dentist’s computer. This way, the image is ready to be viewed immediately, and it allows your dentist to zoom in on a small, barely-visible issue with a crystal-clear picture. This is a great way of detecting smaller issues that have the potential to grow. These issues cannot be seen with the naked eye, and without digital imaging, the problem could grow and destroy the mouth. The x-ray machine can also easily send the images to other doctors who need them. This could be to other oral surgeons, medical doctors, or periodontists. Digital imaging also has the ability of noticing small or large changes over time through a system called subtraction radiography. The machine will compare your recent x-ray to an older x-ray and subtract the elements that are the exact same, leaving the differences apparent on the monitor. To learn more about digital x-rays in Roswell, Georgia, call us today!